You can find party inspiration everywhere, even in your favorite foods! Our featured parties this week are all fabulous and food themed! This “Little Chefs” Birthday Pizza Party from Sugar Branch Events makes cooking fun with personalized aprons and authentic chef hats. Don’t you just love the chef mustache as part of this theme? At this party, kids get to show off their culinary talents making their very own mini pizzas with all the toppings. While cooking their creations, the little guests get to decorate their own pizza boxes. You could hire a plate spinner to dazzle and entertain the tiny chefs while they are waiting to eat their pizza. When the pizzas are cooked, it’s bon appetite! I don’t know about you, but I am definitely partial to fondue. 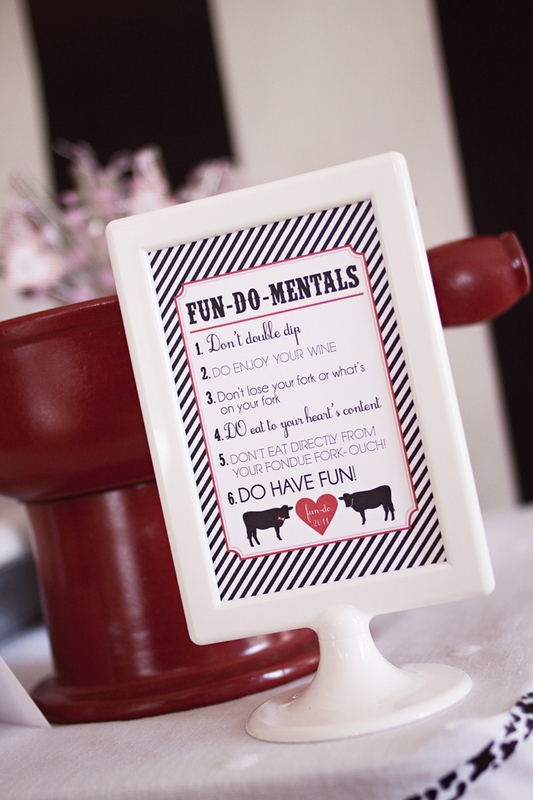 So, when I saw this Fun Fondue party featured on Amy Atlas I knew I had to share it. This unique “Fun-Do” party is great for celebrating any occasion. The fondue idea is complimented by a cute cow theme including “moo-tensils,” milkshakes and a yummy dessert bar. If you are looking to add entertainment, try hiring a karaoke DJ so your guests can sing their favorite tunes as they dip into their cheesy goodness. 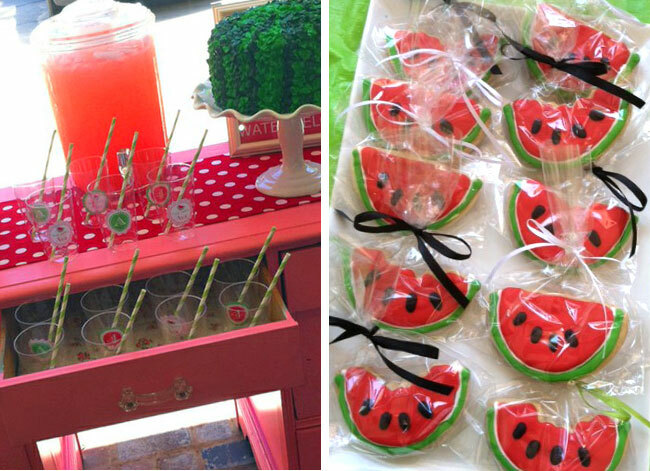 Watermelon is a summertime favorite, but who knew it would also make an adorable kids party theme? Take a look at this Watermelon Party from Chickabug Blog that includes watermelon slices, pops, cake and even watermelon flavored popcorn! With a neon pink and green color scheme this theme is bright and cheerful, perfect for any sweet little girl’s birthday. Balloon twisters and face painters would make great performers to entertain your tiny guests for this event. If you are hosting the party outside, consider renting a bounce house for all day play. Feeling inspired? Check out our Event Planning pages for more party inspiration or check out party theme ideas from The Bash. What did you think of our food themed party picks? Let us know in the comments below.